Simon Stålenhag is best known for his artworks depicting run-down alien technology slumped around mundane Scandinavian and American landscapes. The day-to-day drudgery of the suburbs and rural communities have infected the high-technology of whatever-these-things-are, integrating them into a world that is neither scared nor in awe of them - it frankly doesn't care. Simon works largely digitally, but has produced this physical painting. 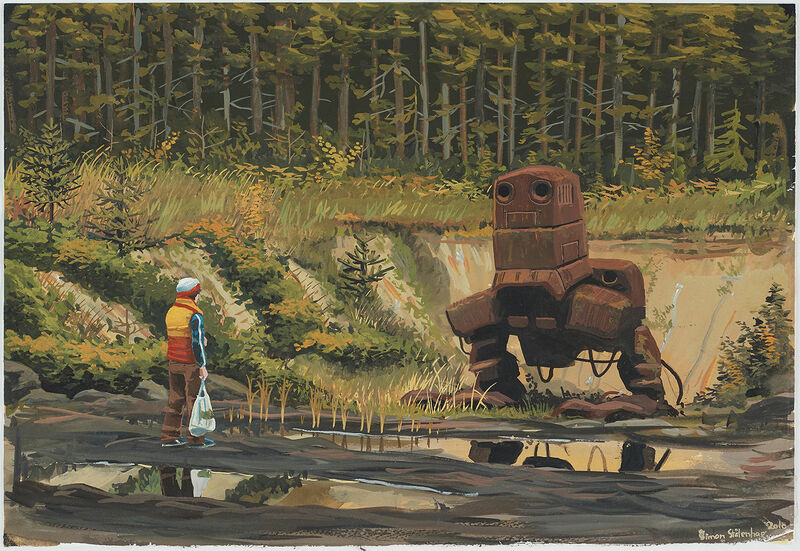 Produced in 2010, it shows a child or adult encountering something alien in a forest - and is very much in keeping with Simon's other works; the figure carries a shopping bag, the alien technology has rusted into obsolescence and there's no clear narrative unless you want to make one up yourself (which is half the fun of Simon's work). The work is owned by one of the people behind Candy Crush, Tommy Palm. No longer with developer King, he has set up the Stugan games accelerator, which takes promising developers and puts them in a cabin (Stugan is Swedish for cabin) for two months to build a game. The latest Stugan - the fourth - finished in August and brought together 20 developers from 10 countries. 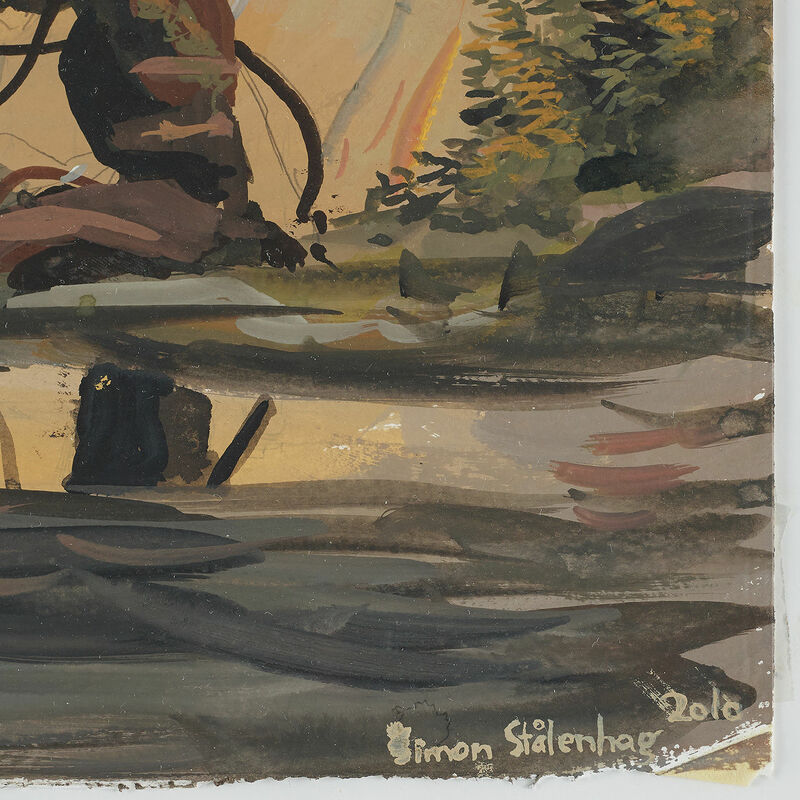 The sale of the painting will be put towards funding future of Stugans, which Palm links to Simon's previous career in games. The artwork can be viewed at the Bukowskis auctioneers in Stockholm until October 23, when it will auctioned. The expected price has not been stated. Simon's worlds are currently being turned into an Amazon Prime Video series. Read our interview with him here. Updated 9pm 11/10/2018 to correct inaccurate information we were given by Stugan's spokesperson. This is not Simon's only physical painting, but, they say, the only physical painting of his up currently up for auction.